The ti 84 plus is a graphing calculator created by Texas Instrument. The ti 84 Plus is an upgrade to the ti 83 Plus. It remains completely compatible with the ti 83 Plus for the basic programming and even for the native language (assembly). Have questions? get answers ! Daily updates on my blog ! The ti 84 plus calculator is very powerful and provides all what you need for mathematics. The cpu speed is 15MHz and the CPU model is a ZiLOG Z80. The ti 84 Plus has a newly designed case. The ti 84 plus features include a new built-in clock, a new mini USB link port in addition to the standard I/O port. 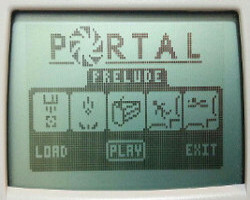 The ti 84 plus LCD is a monochrome screen, its size is 96 * 64 pixels (white pixel = 0, black pixel = 1). Texas Instruments continues to be the leader when it comes to multi-functional calculators. 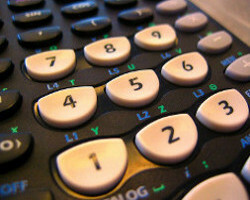 Currently, the main line of TI calculators is the Nspire technology. 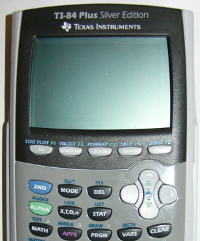 Casio released recently the Prizm and HP will release the Prime soon, but these models are not directly challenging the ti 84 plus. The ti 84 plus is accepted for exams. The ti 84 plus handheld was fistly released on january 2004). As for the ti 83 plus, Texas Instrument released the ti 84 plus Silver Edition (alors known as ti 84 plus SE) at the same date (Jan 7, 2004). The ti 84 plus SE has a different look and a lot of additional flash rom memory (1.5M bytes against 480k Bytes for the regular ti84 plus). The ti 84 plus also features 128K RAM (instead of 32K RAM for the regular ti 84 plus not SE). Texas Instrument finally removed some extra RAM and lets only 48K RAM on recent units. 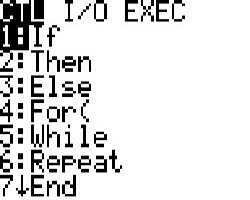 You can check the ti 84 plus rom version by pressing [2nd] [MEM] . You can upldate your ROM version due to the flash memory (it was not possible on regular ti 83 which have the ROM stored in a non erasable memory). ti 84 plus is fully compatible with the classic links. What's the ti 84 ??? This model doesn't exist, when someonbe talk about ti 84, he simply forget to mention the plus. Referring to ti 84 is the same as talking about ti 84 plus or ti 84 plus SE. The price of the ti 84 plus is more or less 110 dollars. The ti 84 plus silver edition is more expensive and cost about 130 dollars usually. You should usually receive your ti 84 plus calculator with its 4*AAA battery and a cover case (cover case is optional! Be careful). When compared to the older model TI-83, the TI-84 Plus graphing calculator has three times the memory, more than double the processing speedt and a higher contrast screen. To make it even better, the TI 84 Plus is keystroke to keystroke compatible with the older model too. That means if you are familiar with the older model, then your are already familiar with this one too. Just like its predecessor (e.g. ti 83 plus), you can use the ti 84 plus on the PSAT, SAT, and ACT college entrance exams and AP tests. When coupled with the optional TI Presentation Link adapter it can be use for the IB exam too. Input and view math symbols, formulas and stacked fractions exactly as they appear in textbooks. A lot of accesories are available for the ti 84 plus handeld. You can learn more about specifications or accessories available for the TI84 plus handheld. You can download guidebooks in english, french and german. We provide links for buying ti 84 plus handheld (for students and for teachers). For the developers, we also provide tutorials about basic and assembly programming. 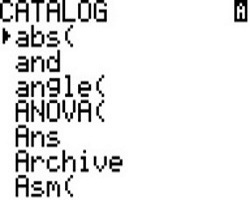 Links to the majors ti 84 plus websites is also given in the links section.